Our hike left after breakfast and set out for the White Mountains of New Hampshire. 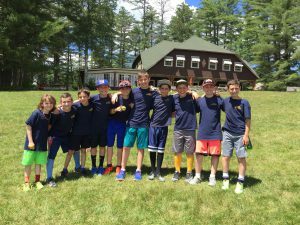 Shortly after, the 12U boys left for Camp Wigwam’s kickball tournament where we came in second out of eight teams! On our own soccer field, we played Wigwam in a heated game with 15U boys, in which we also came in second. While the Micah boys were playing sports, some “mensch-y” Timber Girls went to the Senior Center to play games and interact with the residents. 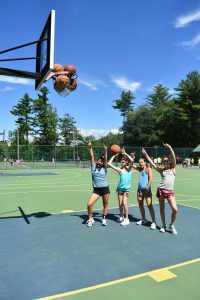 The girls all loved doing a mitzvah during their rest hour, and even decided that they wanted to go again this summer! 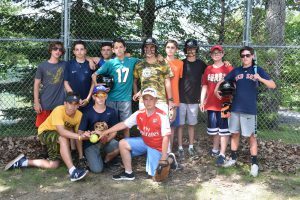 After a long day of activities, hiking, sports, and community service, the Micah campers are gearing up for a fun-filled Fourth of July celebration tomorrow and Wednesday. Stay tuned for pictures of our 4th of July Hoedown Theme Dinner tomorrow and our “4th” of July Carnival on Wednesday!